Dr. Paul Beisswenger is an Endocrinologist and Professor of Medicine at the Geisel School of Medicine at Dartmouth. He has directed a productive research program over 40 years at the University of Pennsylvania and Dartmouth, investigating the biochemical basis of diabetic complications. At PreventAGE, his focus is on new biomarkers that provide early detection and the treatments to prevent and reverse them. His research has combined studies of human populations with powerful analytic laboratory techniques to address some of the important outstanding questions regarding diabetic complications. He has published over 50 scientific papers and 5 chapters, and he continues to write from his laboratory and clinical research programs. Dr. Beisswenger also maintained a clinical practice for 37 years, with a major focus on diabetes and was named to the “Best Doctors in America” list by Woodward-White. He has been an active member of the American Diabetes Association and has been on its National Board of Directors and a number of major national committees. 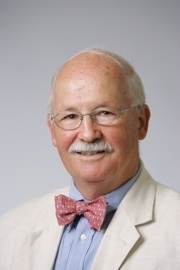 At Dartmouth he served as chairman of Endocrinology and Metabolism, and directed several major academic courses as well as educating health care professionals on a national and international level. Eric Button is a medical diagnostics executive who has spent the past 25 years at the forefront of novel diagnostic commercialization. By bringing together a unique combination of technical and marketing skill sets, Mr. Button has successfully led the introduction of tests from initial product concept through commercialization. Most recently, he led the development and commercialization of three novel diabetes tests. As the founder and President of GlycoMark, Inc., Mr. Button directed the foundational scientific studies and KOL relationships as well as the intellectual property, regulatory, and commercialization/partnering strategies for the first, novel FDA-cleared diabetes test introduced in the U.S. in the past 20 years. As Senior Vice President of Diagnostics at Metabolon, Mr. Button introduced Quantose IR and Quantose IGT for the diagnosis of prediabetes – laying both the scientific and commercial foundations. Earlier in his career he served in various marketing capacities at Hybritech, a subsidiary of Eli Lilly, where he led the business group responsible for the original PSA prostate cancer test. In addition to Mr. Button’s corporate activities, he has been an Adjunct Professor at the University of North Carolina, and has served as guest lecturer on entrepreneurship and marketing to MBA students at Wake Forest University. Mr. Button holds an MBA from the University of North Carolina, an MS in molecular genetics from the University of British Columbia-Vancouver and a BA in biology from the University of North Carolina, where he was a member of the Phi Beta Kappa honor society. Ross Goodman shapes and executes complex business strategies as an entrepreneur and aerospace industry business development leader. In addition to co-founding PreventAGE, he is a founding partner of Honey R Capital LLC, a generalist private equity advisor and consultancy, and several portfolio companies. Ross has been instrumental in securing more than USD $800 million in defense contracts around the world. His ability to listen well and effectively translate customer requirements into solutions enables him to build lasting relationships across industries and organizations. Ross has a B.S. in industrial engineering from Columbia University, and an MBA from The Wharton School of Business. Carolynne Krusi has an MA degree in psychology from UC Berkeley and has extensive experience in art, graphics, product development, and editing . She served as Assistant Dean of the College at Dartmouth and has edited four award winning books before joining the PreventAGE team. Carolynne’s training in both psychology and graphic design, along with her experience in product development, combine to enable her to provide PreventAGE with a positive public interface. Scott Howell, M.S., has over 30 years of experience in the field of analytical chemistry with emphasis on liquid chromatography, gas chromatography mass spectrometry, and most recently liquid chromatography triple quadrupole mass spectrometry (LC/MS/MS). Mr. Howell has been involved in several areas of scientific research, including the pharmacology of cancer drugs, the study of heme intermediary metabolism, the biochemistry of protein turnover, and 17 years studying the biochemistry of diabetic complications in the laboratory of PreventAGE Chief Scientific Officer, Dr. Paul Beisswenger. Mr. Howell brings his analytical expertise along with his other skills and experience from a broad range of clinically oriented research projects to PreventAGE. Mr. Howell received his MS degree from the University of Texas System Cancer Center M.D. Anderson Hospital in Houston, TX and has co-authored over 25 scientific publications. Heidi Eldred is the newest member of the PreventAGE team. She is an experienced marketing and business management professional who has spent her career in a wide range of industries from consumer products to financial services. She has significant expertise in new product development, and has taken multiple new products to market. She comes to PreventAGE after three years at the Fisher College of Business at The Ohio State University where she taught global consulting and best practices in project management, and was Director of the Office of Global Business. She holds an MBA from the Darden School of Business at the University of Virginia.